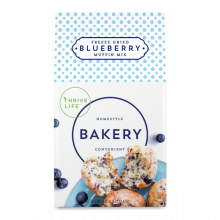 Thrive Life Flash Sale – Today Only! I highly recommend the broccoli for its versatility. 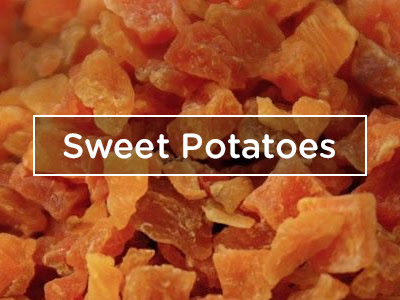 Eat it crunchy from the can for the biggest raw alkaline impact, powder it and add it to a meal, roast it with garlic or cook it in your favorite foods. 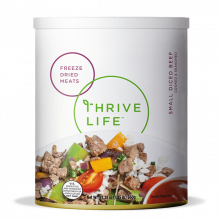 All the reasons broccoli is revered as a beneficial part of a healthy eating plan are amplified by Thrive Life’s Nutri-lock twenty-one step process, designed to keep all the nutrients in and convenient for when you want broccoli. My love for the sausage crumbles is whole and unabashed because I can grab a handful, or put 1/4 cup of them into a recipe, and then leave the rest in the can for another time. Try doing that with sausage from the health food store. Our sausage crumbles do not contain nitrates or nitrites. Strawberries are in my morning protein drink every day. 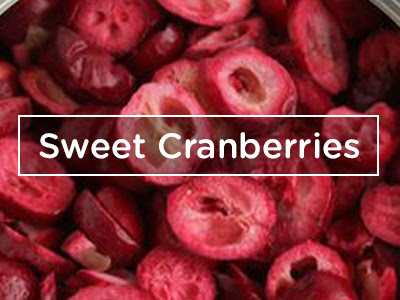 Studies show that to reap the most benefits from berries, they need to be eaten regularly. I’m all for that, plus they are just plain delicious! Seasoned chicken slices and shredded cheddar cheese give a nice roundness to this pack. I hydrate only what I need at the time and save the rest for later. I eat very little chicken or cheese, making this the perfect solution for me. If you eat a lot of chicken and cheese, get the family size can. It’s a fantastic value! 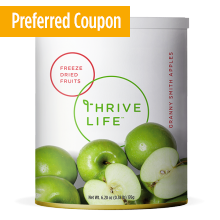 Ask me how you can get free shipping on this sale! You’re going to love my answer! Questions? Please ask. I’m here to help! E-mail me at the reiki cafe @ gmail dot com or ask your question here. No questions? You can order directly from the website. I hope you’re receiving my newsletter, because I love to share exclusives there. Sign up is easy and takes moments! The Reiki Cafe would like to share our seasonal favorites and monthly specials with you, in the form of a free sample pack. E-mail thereikicafe@gmail.com with the details and a a sample pack will be sent to you, and to anyone you would like to share them with. 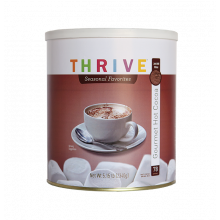 Everything is easy and delicious with Thrive Life. Any of these foods can be eaten as is, or used as a fresh ingredient by adding a small of water a time to refresh. 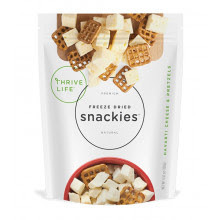 Okay, maybe not the pretzels, but the havarti can be refreshed if you want to. Most people like it crunchy. Are you local to Dallas, Texas? If you are, then we are neighbors! Let’s meet and I will give your TLC pack to you in person. 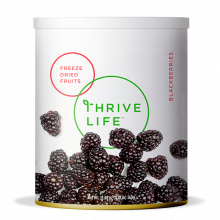 The more Thrive Life food I eat, the better I feel. 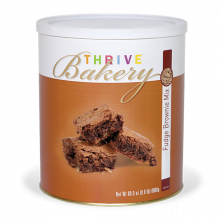 I love Thrive Life foods, and after a taste you will know exactly why I do! 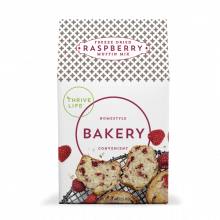 They are packed with nutrition you can taste and feel. Thank you for sharing TLC! 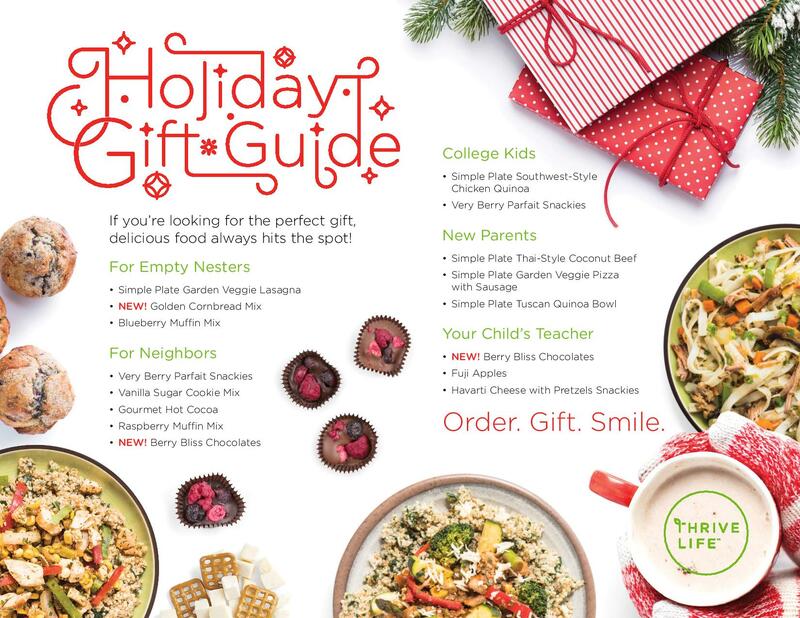 Thrive Life December News & Specials! Preferred Coupon available to Preferred Customers only. Sale ends 12/31/2017. All sale items are available while supplies last. Waffles and pork?! Oh, yes! 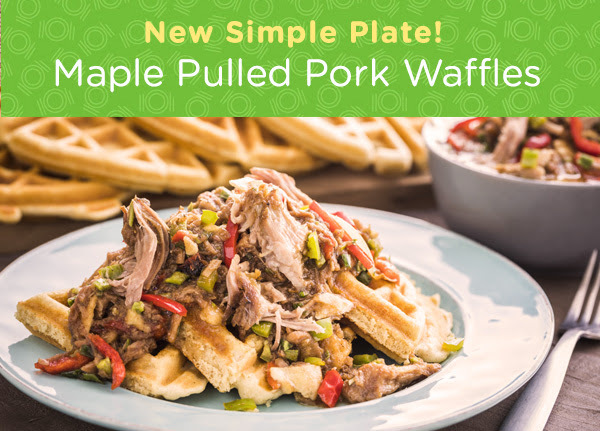 Slide a dollop of juicy, shredded, maple-infused pork onto a fluffy waffle for a creative dinner that hits the spot. We’ve defrosted, cooked, and shredded the pork for you! Limited Supply These will go fast! 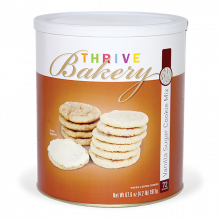 Are You Ready to Share Thrive? Thank you to those of you who ordered during the Black Friday sale. You helped me reach my goal of becoming a Mentor in this amazing company. I have a new goal this month – I want to go to Leadership Academy. 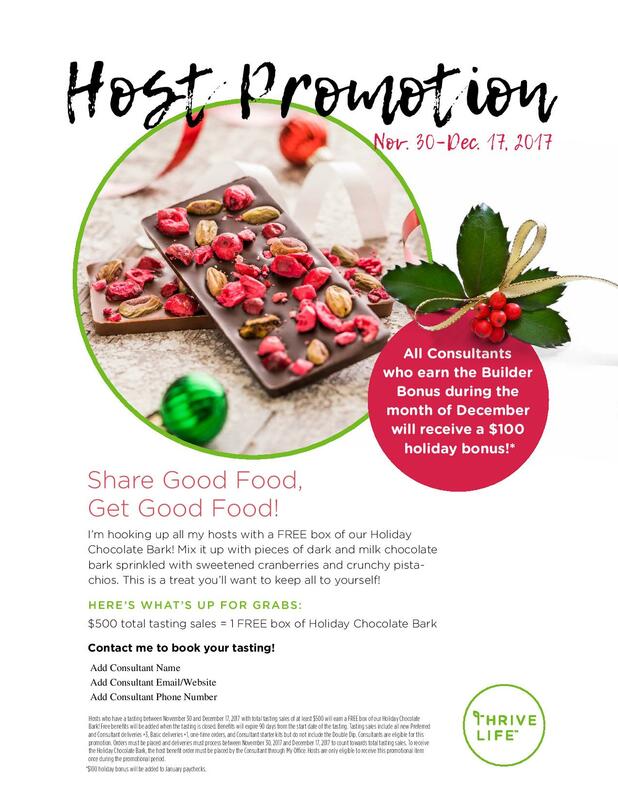 If you’ve been thinking about becoming a part of my team as a Thrive Life consultant, this is a great month to do it because not only will we be working together, but you will be helping me achieve my goal! 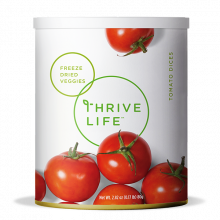 When you join The Thrive Tribe, you also receive a free chakra balancing and a free mini nutrition analysis. Why? Because I want you to glow! 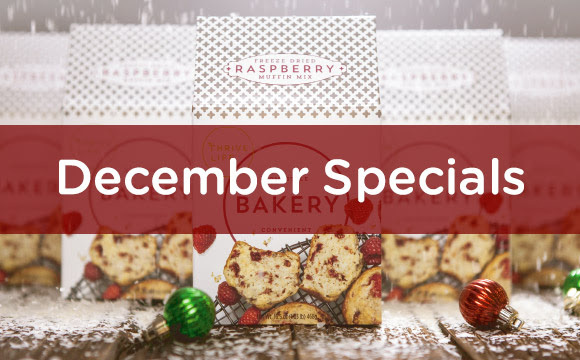 When you commit to a subscription for at least $25 each month you will receive a lot of bonuses, like free shipping on preferred items when the order is over $100, and bonus points you redeem for free food whenever you like for each dollar you spend, early access to sales and a monthly item discounted to around 30% off, on average. This is our preferred customer program. I suggest you save your grocery points for our next big sale in the spring. That’s what I’m doing! Choose the option to allow me to help you with your subscription by updating your consultant access setting. You will be able to view any changes made and you can change the setting back whenever you like. I will not be able to view or update your payment information which protects you and me. No questions? 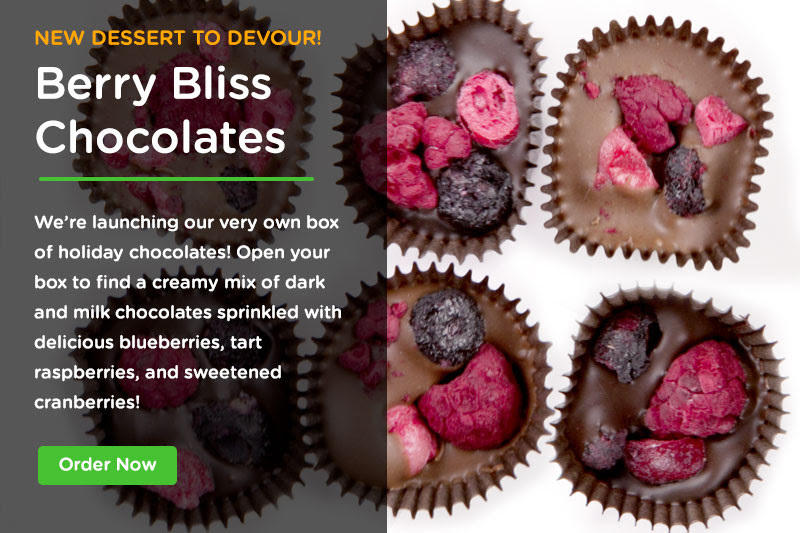 Feel free to place orders directly through the Website. Did you know I have a newsletter, where I love to share exclusives you won’t want to miss? Sign up is easy and takes moments!